The three-day educational exhibition was held last week in Kharkiv. During these three days, Kharkiv citizens could get acquainted with 50 educational institutions (universities, colleges, lyceums, gymnasiums) and companies that offer education in Ukraine, Israel, Austria, Poland, the USA, Slovakia, the Czech Republic and, of course, in Slovenia, which was represented only by the 2TM Company. 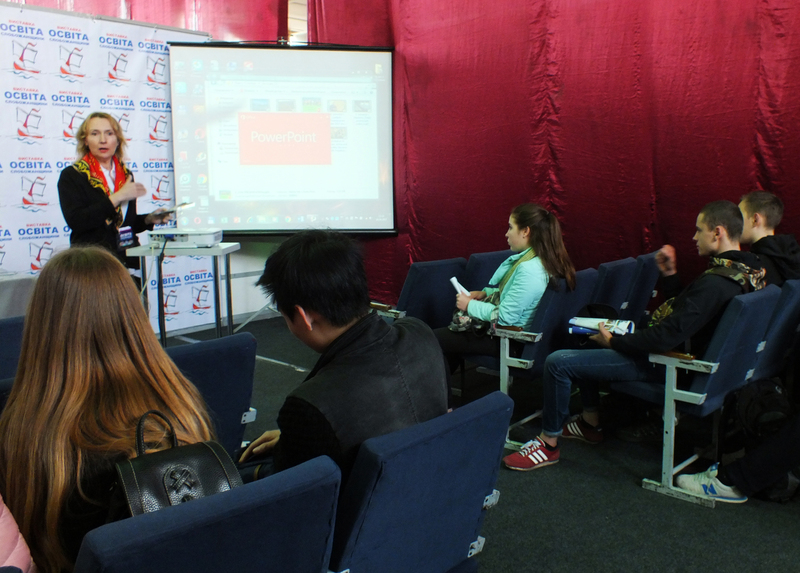 The first day was mostly devoted to communication and establishing contacts between universities and organizations. The second day pleased the participants with a large stream of visitors. Basically, they were students of eighth and ninth grades (slightly less students of grades 7, 10 and 11) accompanied by tutors and parents. Children asked questions, collected informational materials, passed vocational guidance tests, expressed interest in the advantages of studying in Slovenia. The Company employees told Kharkiv residents about the peculiarities of study process and high quality of education in this European country. 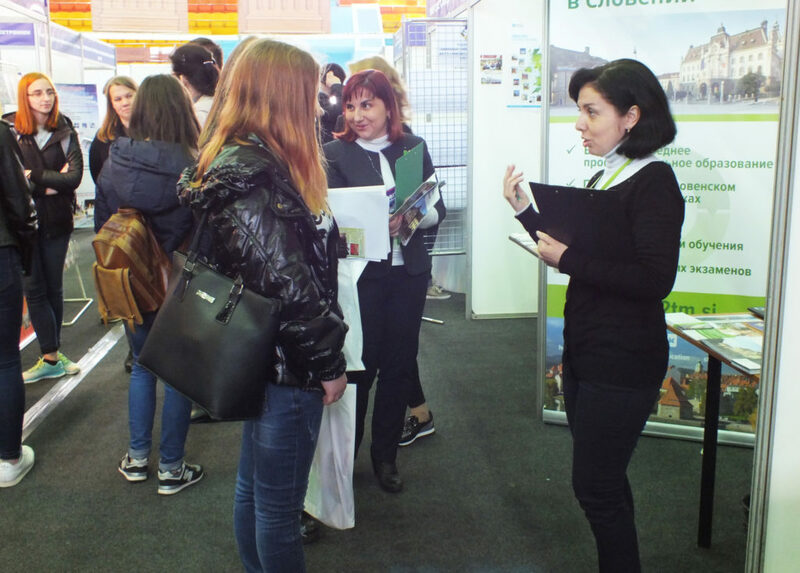 Most visitors of the exhibition were interested in the possibility of obtaining a European-style diploma, which is valid throughout the EU and easily allows finding work abroad. Traditionally, students were interested in the programs on IT, Economics and Tourism offered by the Slovenia’s universities and colleges. As for the Master’s programs, the interest shifted towards programs in Law, International Relations and, again, Economics and Tourism. Parents, as expected, most worried about household issues and the cost of training. Many were happy to learn about the unique conditions of life that children could obtain while studying in Slovenia, starting from the mild climate, friendliness and security of this European country and ending with the student discounts for travel.